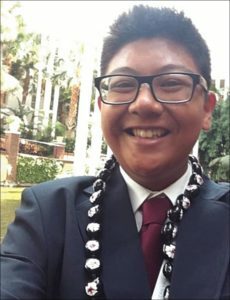 Every year, hundreds of high school students across the State from different organizations compete to represent Hawai‘i at the national level during the 2018 CTSO (Career and Technical Student Organizations) convention held on February 22 and 23 at the Hawai‘i Convention Center in Honolulu. Maui High School was one of the schools that participated in this huge event. Organizations that joined were SkillsUSA (Arts & Communication and Industrial Engineering Technology); Family, Career, and Community Leaders of America (FCCLA); Distributive Education Clubs of America (DECA); and Health Occupations Students of America (HOSA). Students that are involved in these groups spend months of long practice hours after school, to make sure that they strive to be the best to be able to qualify at the National Level. In the Skills USA division, Jeriel Dumlao, a sophomore, competed in the Cabinet Making event. This was Dumlao’s first year competing in the State level: “Yes, I will be joining again next year because I had a very stunning experience and I would like to experience more of that. Also, I want to meet more students with amazing skills and to be able to interact with them,” said Dumlao. He explained that the most challenging part about making the cabinet is finishing it on time. Dumlao explained he set his mind to just focus on his own work and finish as much as he could and not worry about the time he had left. With his focus and determination, Dumlao placed first for this event and he qualified for the nationals in Kentucky. 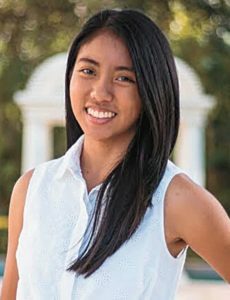 DECA is also one of the largest organizations at Maui High School and DECA produced several top winners, including Naomi Maeda, a Senior who competed in Quick Serve Restaurant Management. This is the first time Maeda has competed as well. Maeda said she joined this event because it was a fun learning experience, she enjoys food, and she thought it would be fun to learn how to run a fast food business. Maeda also claims her most important learning experience was “Don’t doubt yourself. You’re capable of doing more than you think.” Despite being involved in other extracurricular activities like Track & Field, Maeda manages her time wisely by having adequate sleep and practicing role playing on her free time. Maeda not only won second place for her event but also placed third for Best Test Scores, Medallion Medal For Best Role Play, and Finalist Medal. Maeda is now qualified for the nationals at Atlanta, Georgia. Maui High School’s Health Occupation Student of America, commonly known as HOSA, was named as the largest HOSA chapter in the State. HOSA is full of outstanding students who placed in various events, qualifying them to attend the International Leadership Conference (ILC) at Houston, Texas this June 2018. One of them is Romelyn Joy Tabangcura, a sophomore who competed in Human Growth and Development for the first time at CTSO. For Tabangcura, one of the biggest challenges she faced was feeling overwhelmed and full of self doubt before the competition. Tabangcura, however, overcame these obstacles by having the best support from her HOSA advisors and fellow members who encouraged her to have self confidence. Levin Bonilla, a Senior, is also one of the competitors for Dental Terminology. He has been competing in this event for four years and became this year’s HOSA Vice President. Bonilla explained that he participated in this event because he wanted to pursue a career in the Dental field and competing in this event helped him to gain more knowledge of medical law, ethics, infection control, and anatomy. In addition, one of the obstacles Bonilla encountered was motivating himself to study. Bonilla explained having study sessions after school helped him overcome this challenge. “Participating in CTSO is a great opportunity for people in CTE because it is an experience that can help students like me decide what they may want to do in the future,” said Bonilla. HOSA also has team events, including Health Career Display Board. Gabrielle Pastor and Katrina Tolentino, who are both Juniors, competed in this event. For them, they choose this event because it was something they have been doing for three years and they were very comfortable competing in this event. In addition, stress played an important role for them. “If we held all the stress, it would affect our presentation,” they said. To prevent this from happening, they took breaks in between when they are working on their board and found different ways to relieve their stress by watching movies or talking about other things that were not related toward the competition itself. In addition, they prepared for this event by practicing their speech extensively and presenting in front of their friends to be comfortable. Pastor and Tolentino said their advice for students who want to compete next year is “To be sure that you and your partner work well with each other and have the same goals.” Pastor and Tolentino are thoroughly passionate and dedicated toward their work, resulting in second place in the State and qualifying for the nationals. My partner Cortney Tabajura and I also competed in this event but unfortunately, we were not lucky enough to place at state. But for us “Defeat is not failure and failure does not define you!” Even though we did not place, we are still beyond proud to be able to reach this point because not every competitor gets to experience what we experienced at the CTSO convention. One of the most important learning experiences that I can apply to everyday life is to never give up your goals because failure should be a source of motivation for you to keep moving forward for the best outcome. It is truly remarkable and outstanding to have brilliant students from Maui High School competing in these rigorous events. Having them experience this is truly amazing because it helps them to broaden their perspectives in the different careers for their future. We also are given opportunities to meet new people, learn new experiences, develop leadership skills, and life lessons. 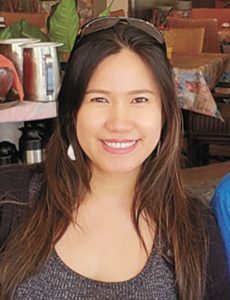 This month’s guest columnist is Rose Anne Rafael, a senior at Maui High School and a member of the National Honor Society. 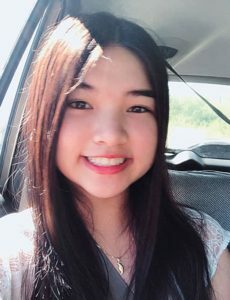 Rose Anne has been an active four year student of Advance Via Individual Determination (AVID) and a four-year member of Health Occupation Student of America (HOSA), serving this year as the Director of Communication. She also performs with the Good Shepherd Episcopal Church Filipino Folk Dance Troupe. This fall, Rose Anne will be attending Grand Canyon University in Phoenix, Arizona majoring in Nursing. She hopes to become a Certified Registered Nurse Anesthetist. Rose Anne is the daughter of Rexon Rafael and Ailyn Rafael.